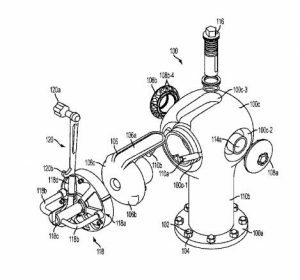 The Sigelock Spartan hydrant, invented by George Sigelakis and Engineered by Adept, Inc. founder and lead engineer Matthew Hayduk has been granted its seventh patent for Locking Fire Hydrant Design. On September 4, 2018, the U.S. Patent Office issued U.S. Patent No. 10066373 to the Sigelakis team. The idea began with Sigelakis, then a New York City fire fighter, who knew firsthand the poor condition of fire hydrants across the country. Technology for the life-saving devices hadn’t changed in a century. Worse, they were prone to leaking, which could lead to weather-related damage as the leaks freeze and thaw in winter. Fire hydrants are also illegally opened in the summer to provide cooling water on hot days, which can damage them, reduce available water pressure, as well as waste thousands of gallons of water. It’s far too common for firefighters to arrive at a site and struggle to find a working fire hydrant due to age-related failures, routine and weather-related damage or vandalism. Knowing all of the problems common to fire hydrants, Sigelakis came to Adept where Matthew Hayduk engineered a fire hydrant for the 21st century. The Sigelock Spartan hydrant is tamper-proof, eliminating wasted water and the damage caused when hydrants are illegally accessed. A special cam accuated wrech opens the new hydrants, applying the required 3000 lb. opening force. More importantly, Hayduk revolutionized fire hydrant design from the inside out. Through the incorporation of a tamper proof locking mechanism with integral side cap locks. Combined he created a new and unique shape developed through Sigelakis’s love of sculpture. Unlike conventional fire hydrants, which are made of cast iron that rusts easily, Hayduk created the Sigelock from stainless steel, ductile iron and a special rust resistant coating for improved durability. The Sigelock requires such little maintenance that could last up to two centuries without repair. Sigelock Spartan hydrants installed in Long Beach, NY, are ready to withstand Hurricanes after the devastation brought by Superstorm Sandy whereas the city’s conventional fire hydrants were damaged by the severe saltwater flooding. Revolutionary design is a hallmark of Adept’s work. The Sigelock Spartan hydrant is a perfect example of how a common item can be improved by applying creative thinking with solid engineering experience.